Annual Featured Ads are expanded listings that appears at the top of an events by location page. They are also available on all city and county pages. 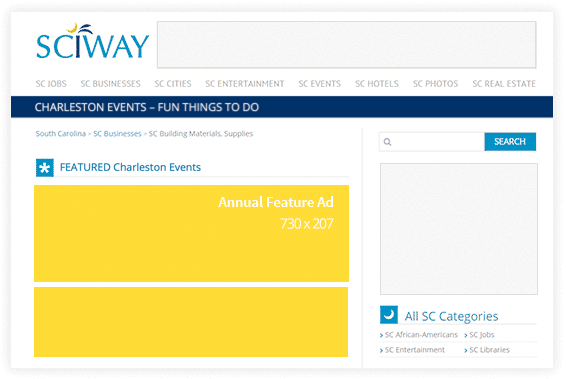 These ads include an expanded description plus large graphic that clicks-through to your event's website. Do you already have an image? If so, please make sure it adheres to the specifications below and then upload your .jpg, .gif, or .png image below. If you should have trouble uploading your image, please email it to service@sciway.net.